Stella loves when we do the cut out sugar cookies with icing and decorating. Me, not so much – it is a lot of work. Sugar cookies only happen every other year and this year was an off year. Instead of sugar cookies I decided on Scottish shortbread. 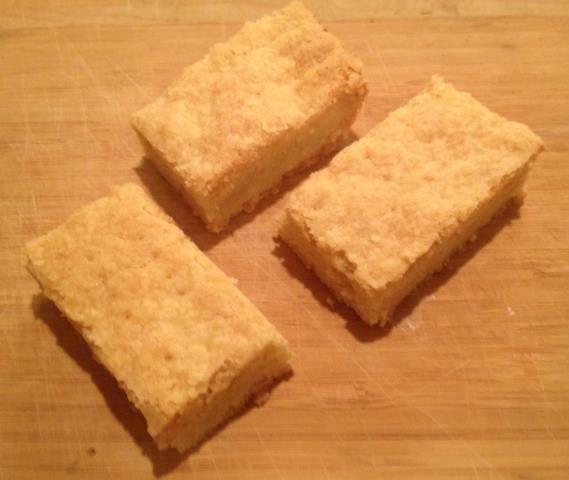 It is so easy to make and the buttery, crunch of biting into a piece of shortbread – absolutely divine! Dunked into tea – WOW! 2. 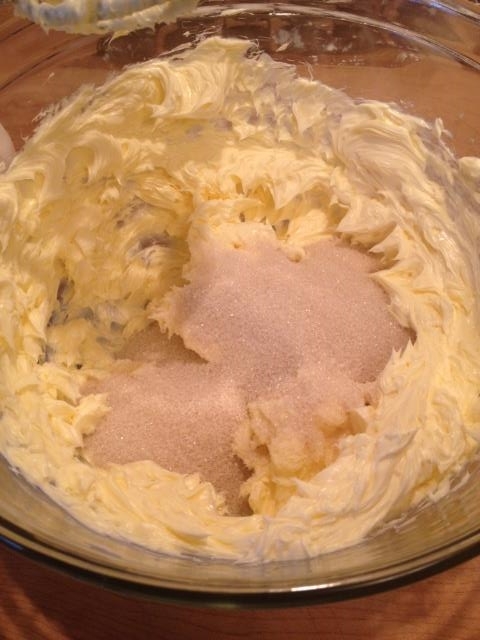 Cut the butter and place in a glass bowl. 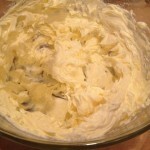 With a mixer, whip until creamy. 3. 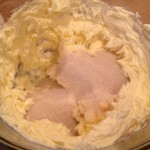 Add the sugar to the butter and combine until well blended. 4. 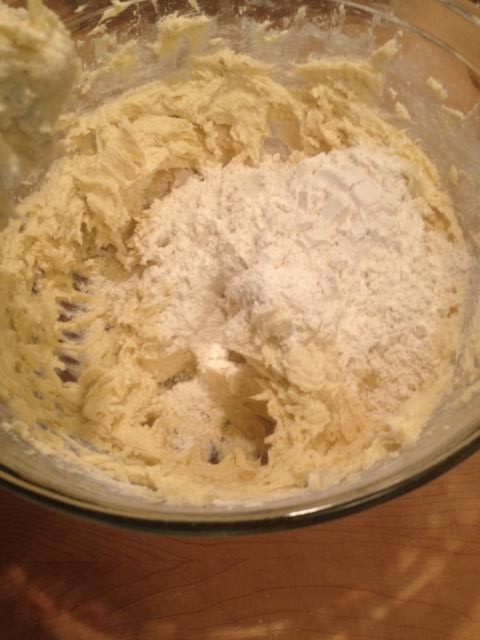 Add the flour to the butter mixture, 1 cup at a time. By the 3rd cup you may have to mix with a wooden spoon and possibly by the 4th cup you may have to mix with your hands. 5. 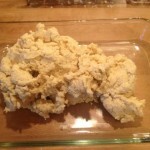 Scoop the dough into a 9×13 glass baking or ceramic baking dish. 6. Spread out evenly in the pan. 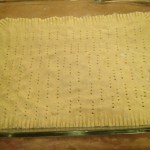 With a fork go around the edges of the dough and “scallop”. 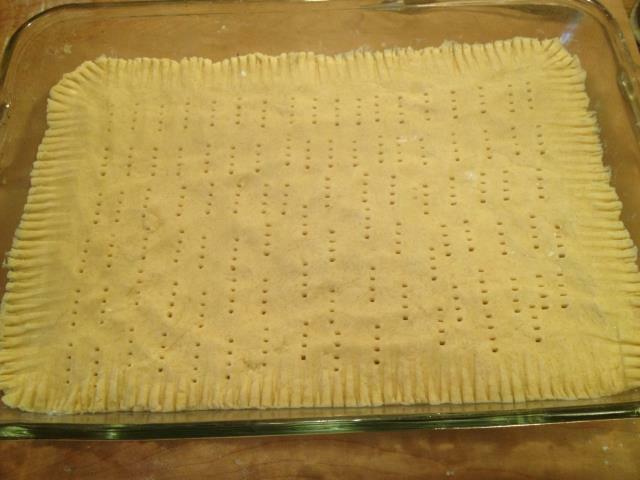 With the tines of the fork prick all over the dough, these are the vent holes. 7. 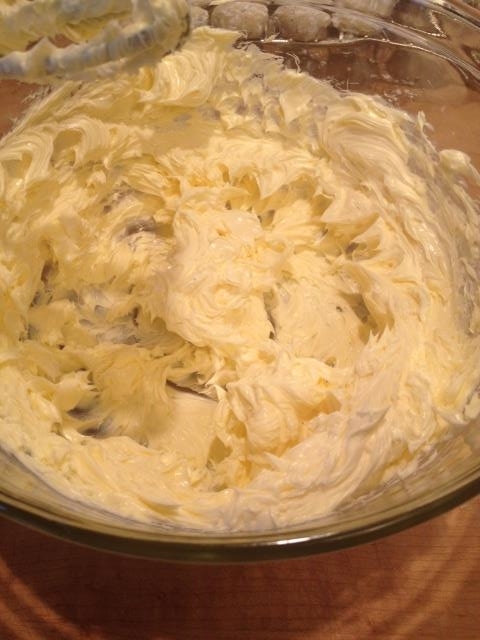 Bake for 45 – 60 minutes. 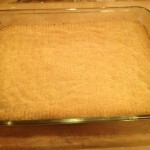 You want the shortbread to be a golden brown color. 8. 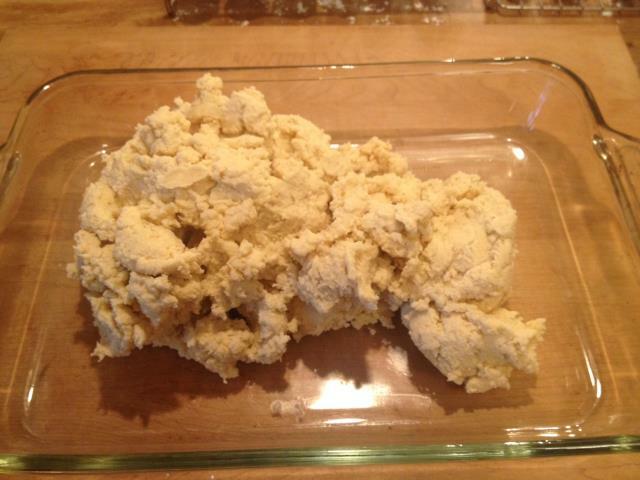 Take out of oven and cut immediately into 2′ pieces (or larger), but then allow to cool completely in the baking dish. Store in an airtight container in the refrigerator. 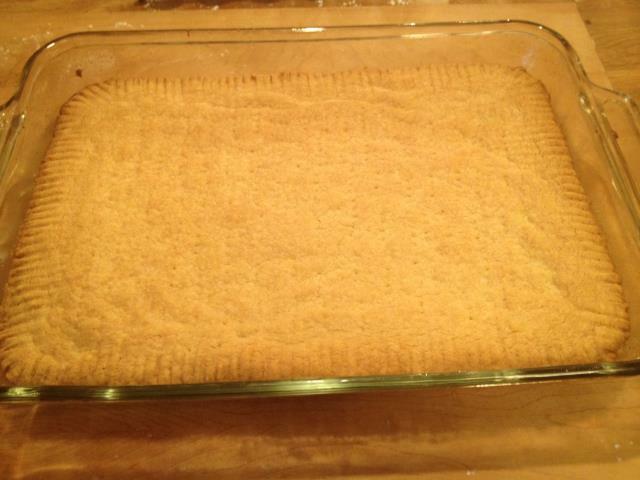 The coldness enhances the flavor of the shortbread. Indulge and have a piece or two! 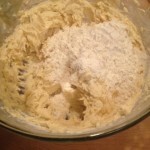 This entry was posted in Cookies, Recipes and tagged christmas, cookies, Recipes, shortbread. Bookmark the permalink. I have never made these but maybe I need to…..the best ingredients and they look delicious and easy isn’t the work for it!